Thousands of police agencies across the country rely on Dodge vehicles to help them do their job. 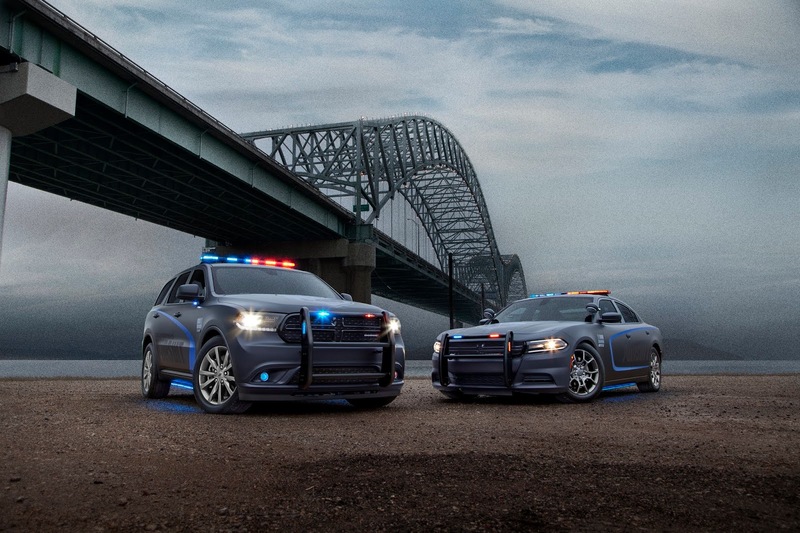 Melloy Dodge is excited to announce that the 2018 Dodge Durango Pursuit will join the Dodge Charger Pursuit in the Dodge police fleet lineup. This police version of the Durango will be an excellent addition to police fleets everywhere. The new 2018 Dodge Durango Pursuit is powered by a 5.7L hemi V-8 and equipped with AWD and Fuel Saver Technology, just like the Dodge Charger Pursuit. The Charger Pursuit has an 8-speed automatic transmission, 7,200 lb towing capacity, and a 119.8-inch wheelbase. Other features include the ParkView rear backup camera and ParkSense alert, trailer sway control, eight-way power adjusting seats and a temperature-controlled K-9 friendly Tri-Zone interior. “Unofficial testing results at the Michigan State Police 2018 model-year vehicle evaluation event created such a stir among law enforcement agencies that we simply had to find a way to build this vehicle” said Steve Beahm, the head of passenger car brands for FCA North America. Pricing has not been revealed at this time, but law enforcement agencies who would like to learn more should call (800) 999-3533. The 2018 Dodge Durango Pursuit is available for order for a limited time.